Tasmania is Australia’s only island state. It is a part of the country often overlooked by travellers, a destination pretty far off the beaten track. Oyster offers the opportunity volunteer in Tasmania to get to know this tucked away paradise. Tasmania is in the far north of Australia, and hence has one of the most temperate climates of the country. If you are looking for cooler weather to be working in, we would recommend that you volunteer in Tasmania. The summer temperatures average a comfortable 21 degrees, whilst the winter temperatures tend to sit around 12 degrees. Nawrantapu National Park – this beautiful park is located amongst coastal sand dunes along the shores of Bass Strait. The park boasts a high concentration of flora and fauna, with the chance to see wombats and echidnas! Projects typically include maintenance of a wetland area and creek restoration. Musselroe Bay & Tomahawk Conservation Areas. Get involved in vegetation surveys, track building, maintenace and beach clean ups on this spectacular coastline on the north-eastern edge of Tasmania. ‘Cascade’, South Hobart – this terrific area of bushland at the foothills of Mt Wellington is a big part of Tasmania’s conservation programme. Get involved in building an extensive walking track and completing a survey of the existing flora and fauna. Launceston is the home to bushland reserves including the iconic Cataract Gorge. 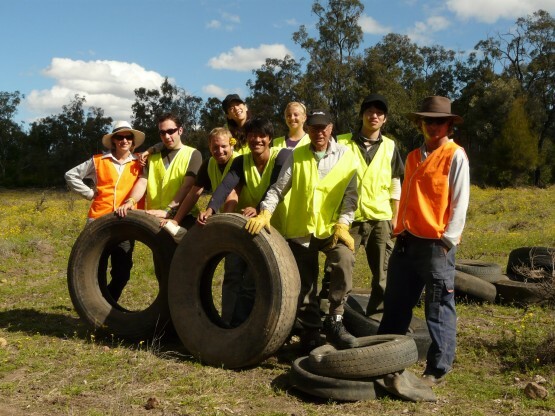 Volunteer projects here involve habitat rehabilitation for native birds and wildlife and preservation of areas which have endangered plant species and provide walking tracks for the general public. For more information about the volunteer in Tasmania and Australia programme have a look at our volunteer in Australia website. You can also contact Anne on [email protected] if you have any questions at all. Previous Post Why must I be able to drive to work on farms in Australia?